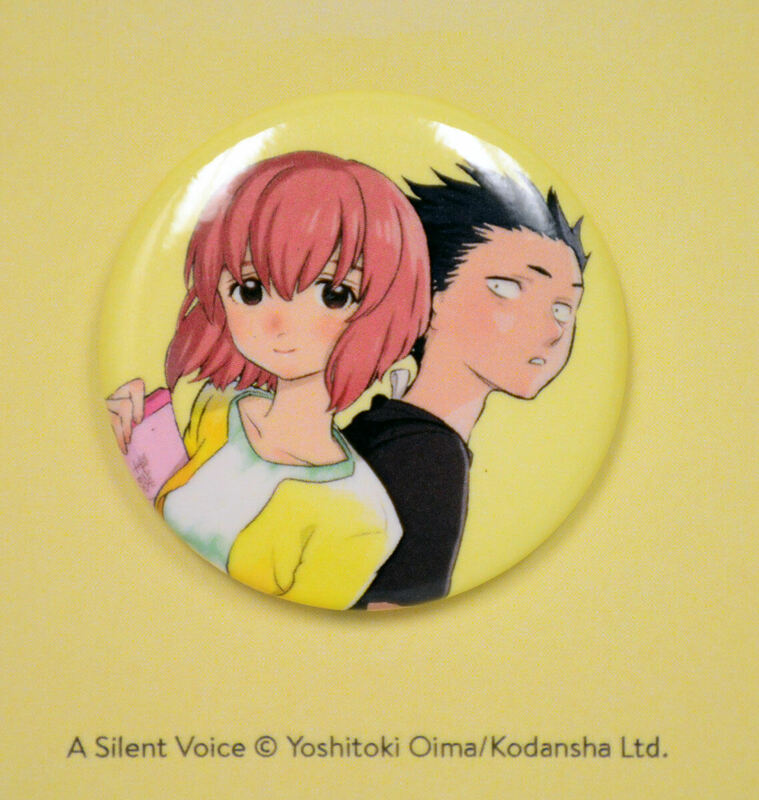 For the month of April order any qualifying Kodansha Comics* item from this month's featured works of: Yoshitoki Oima, the author of A Silent Voice, To Your Eternity, and Mardock Scramble, and receive an exclusive button pin featuring characters from A Silent Voice absolutely free! Available while supplies last. Limit 1 per customer. 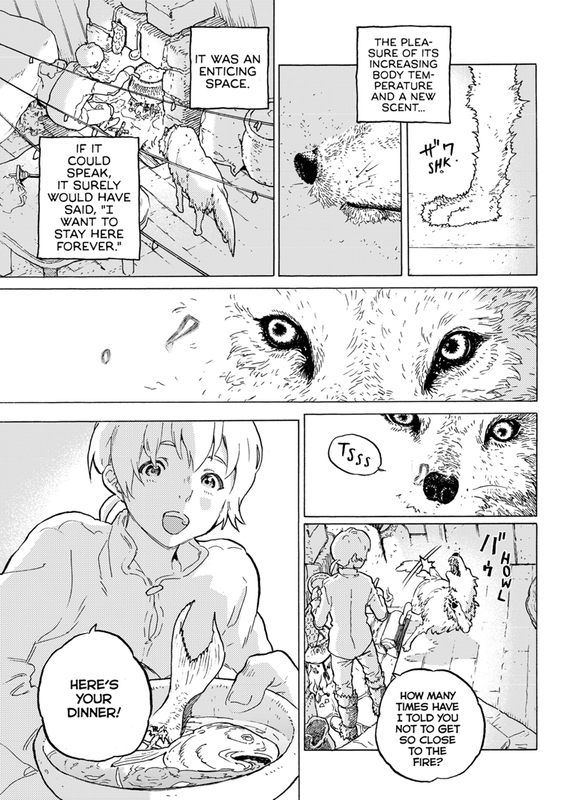 To Your Eternity volume 1 features story and art by Yoshitoki Oima, the author of A Silent Voice. 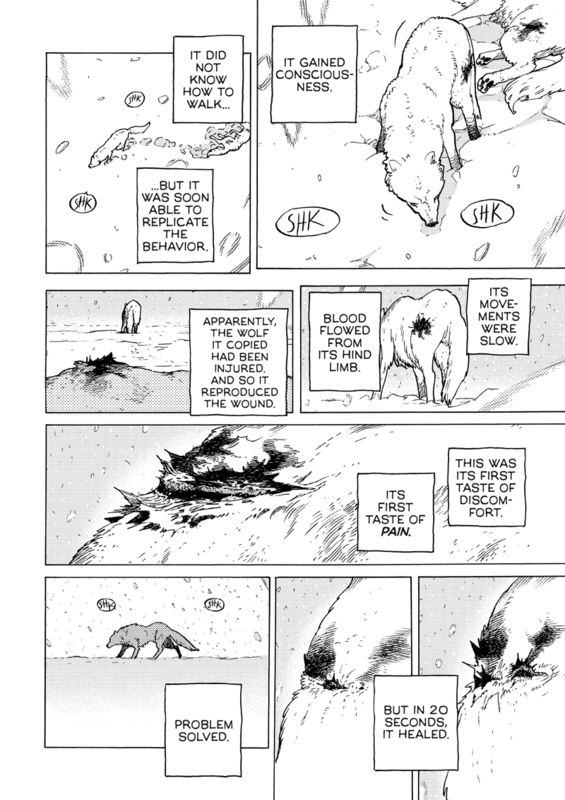 A lonely boy wandering the Arctic regions of North America meets a wolf, and the two become fast friends, depending on each other to survive the harsh environment. 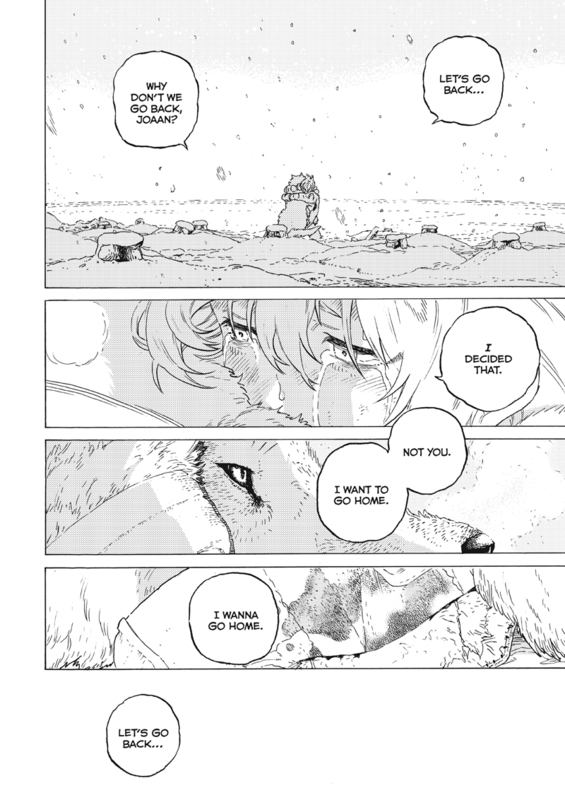 But the boy has a history, and the wolf is more than meets the eye as well…To Your Eternity is a totally unique and moving manga about death, life, reincarnation, and the nature of love. 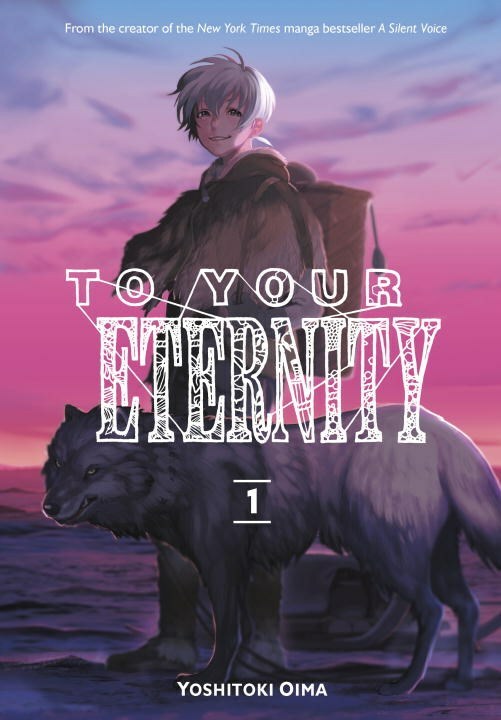 The cover of To Your Eternity seems to imply a gentle-soul and peaceful kind of adventure story. However, it is most definitely not! Instead its focus explores what it means to die...and live. Without being too specific for fear of spoilers, the plot is actually pretty heavy and impactful. Things stuck with me long after I put the book down. The story also has an underlying creepy factor that's not necessarily scary, but will still really make you stop and contemplate. There's just a bit of predictability to the plot so far, which is why it didn't quite make 5 stars, but I'm keen on finding out what developments await. I'm also predicting that the main character will show a tremendous amount of growth in future volumes, and, oh by the way, the main character isn't who you think so that in itself is also a very interesting and arresting plot attraction as well. I highly suggest this manga to everyone, as long as they're prepared for what lies between the pages. This is a story about life and death. The story focuses on a being known only as an orb as it tries to make sense of the world around it. A fair warning: there is a bit of gore about halfway through. If you are prepared for a tearjerker, I seriously suggest that you read this manga! I did not know what to expect when I picked this up, but I’m glad that I did. This first volume already goes through some great emotions as you learn about what it means to live. Five starts for a fantastic beginning to what seems so far like an epic story. I can’t wait to read more of this series. 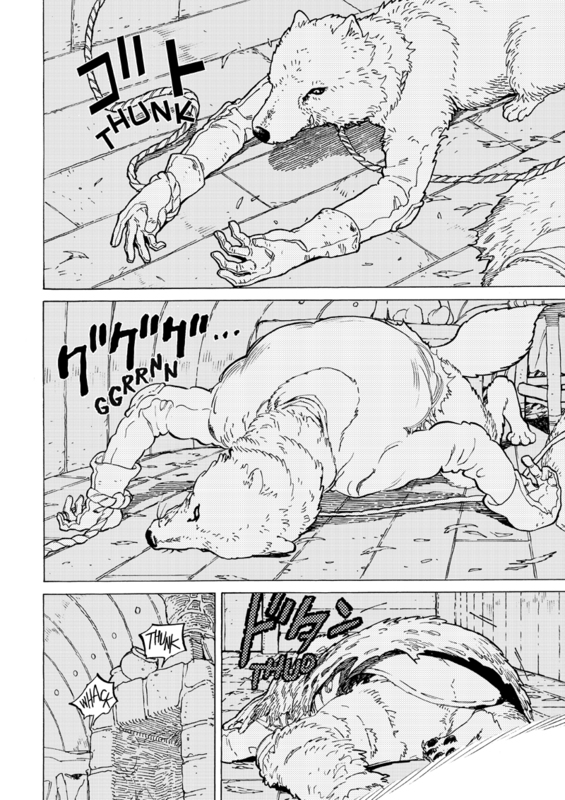 I've experienced Yoshitoki Oima's amazing writing skills when I read A Silent Voice, and here in this book, he shows no less. The story is overly interesting, and the end of this volume makes you want the next volume immediately. This volume is actually very sad, but I promise you the story is amazing. I really recommend you getting this book. I love the cover and I received it in great condition, so no need to worry about that. One of the best manga coming out right now! This series is incredible! I can't describe too much on story or I risk immediate spoilers, but the series is powerful and memorable the whole way through and each arc is sad but engaging. I'm eager to see where the series is heading!